5 reasons why we can’t wait for the Liebherr 2019 World Championships! Regarded as one of the world’s most picturesque cities Budapest is an extremely popular destination for tourists across the globe, attracting approximately 4.4 million international visitors to the city every year. Budapest has many great attractions to visit including the Hungarian Parliament Building, Buda Castle, the Széchenyi Thermal Bath and not to mention the splendour of the Danube. If you’ve never visited the Hungarian capital before the Liebherr 2019 World Championships presents the perfect opportunity to do so – grab your tickets here. Hosts on three previous occasions Hungary produced the very first singles champions at the inaugural World Championships in 1926 and has accumulated a staggering 20 singles gold medals at the event since with the country’s last success in the singles categories coming in 1975. The Liebherr 2019 World Championships will provide a platform for a whopping 609 players from 109 countries – a new record for the event! This is exciting news especially with the ITTF introducing an expanded World Championships format in 2021 which aims to increase National Association participation of 47% closer to 100% global representation. Take a look at the player entry list here. Crowned Men’s and Women’s Singles champions two years ago in Düsseldorf, China’s Ma Long and Ding Ning unsurprisingly lead the way in Budapest and they will be joined by a whole host of world class talent. 2017 World Championships runner-up Fan Zhendong and Seamaster 2018 ITTF World Tour Grand Finals champion Tomokazu Harimoto are bound to excite in the Men’s Singles draw while the likes of Timo Boll, Dimitrij Ovtcharov and Lee Sangsu will also be in action. 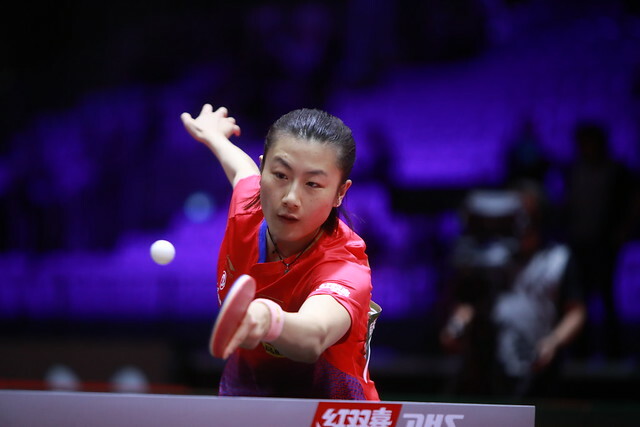 Ding Ning defends her title against a spectacular field of players including fellow compatriots Chen Meng and Liu Shiwen, Japanese stars Mima Ito and Miu Hirano, Chinese Taipei’s Cheng I-Ching and Singapore’s Feng Tianwei. Ahead of the biggest event of the year we’ve been given a unique insight into the minds of some of the sport’s finest athletes thanks to the spell-binding ‘Inside My Mind’ video series. Now that we have a better idea of the thought process and detail behind every shot, we’re curious to see how the players featured in the series go about their business in Budapest.